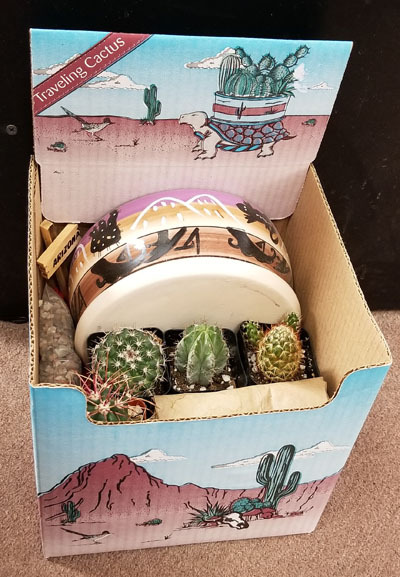 This Traveling Cactus kit contains five cacti, a glazed ceramic pot, and all the supplies you'll need to plant your cacti in their new home. The designs on the pots vary, but the size and shape always remain constant. Bring a little bit of Arizona home with you today!